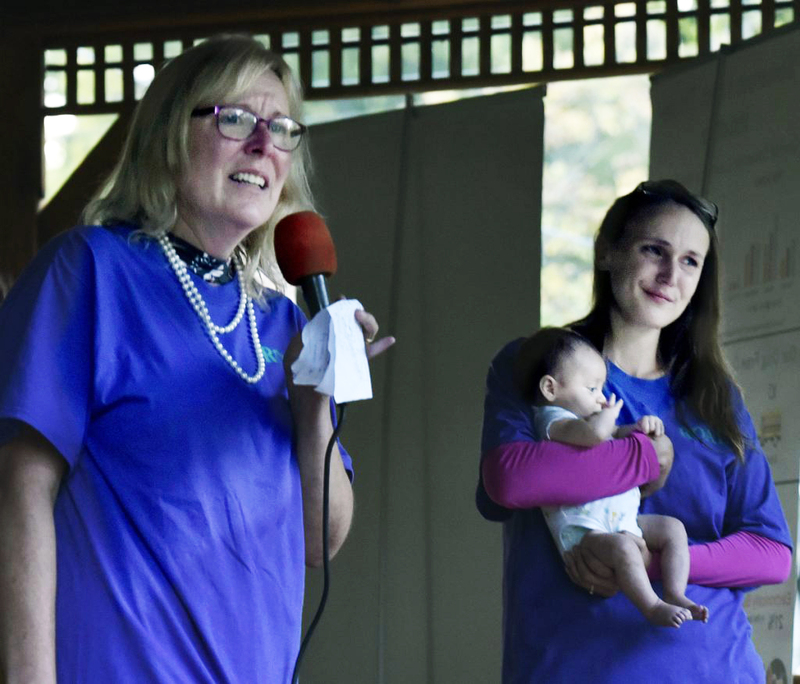 Tammy Kale, left, speaks Monday as a mother of a drug user including her recovering daughter Kayla, holding her daughter Trinity, during a rally for ROAR, Recovery & Opioid Addiction Resource in Skowhegan. Both Tammy and Kayla stated recovery is possible. 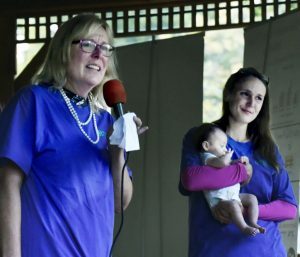 "Recovery is amazing and beautiful," Tammy said.